Ettore Sottsass's designs for the Nine-0 Collection re-imagine the classic all-aluminum Navy Chair that was built for submarines in WWII and has been manufactured by Emeco since 1944. 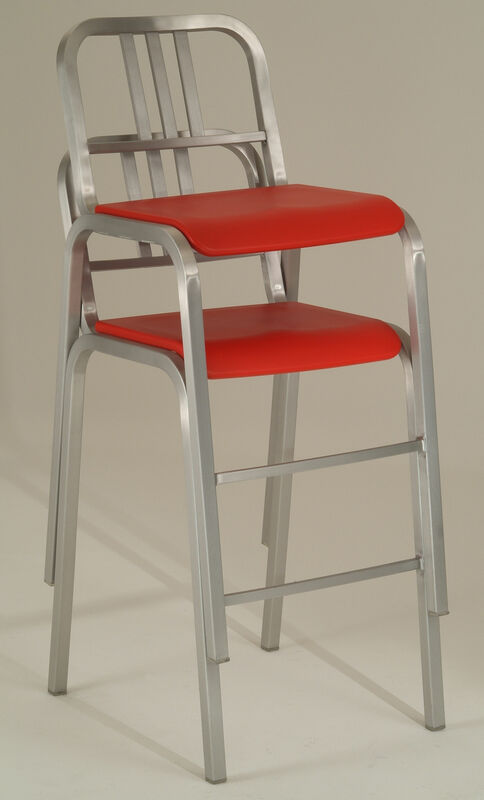 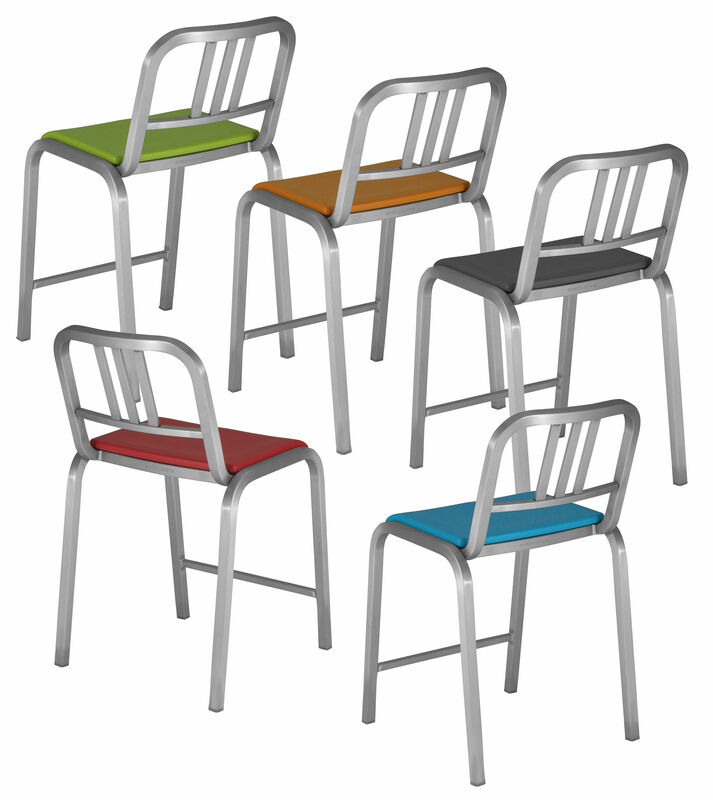 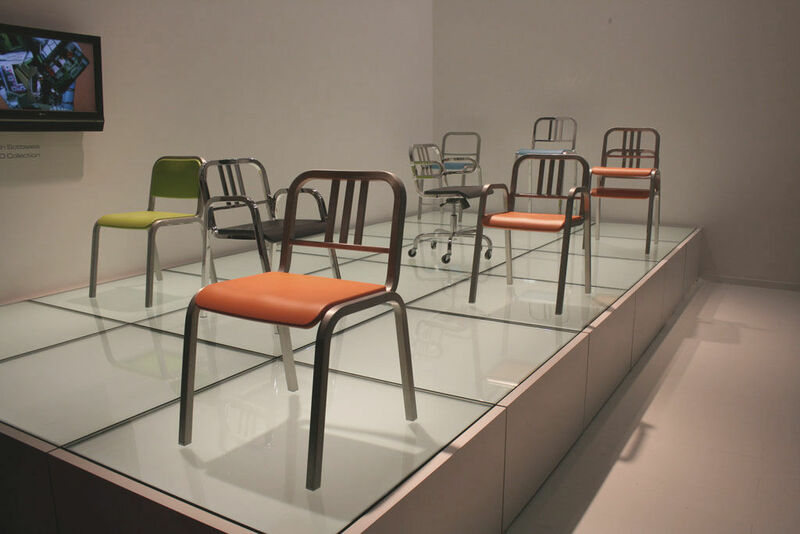 Named Nine-0 as an homage to Ettore's age, the collection of chairs and stools would unfortunately be his last work before passing away on December 31st, 2007. 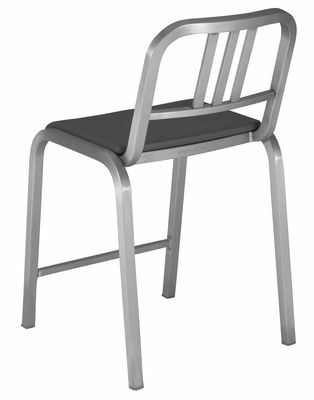 With the help from his design associate Christopher Redfern, Ettore sought to create a contemporary version of the Navy Chair that would embody both durability and functionality and eventually lead to a long and prosperous stay on the market.